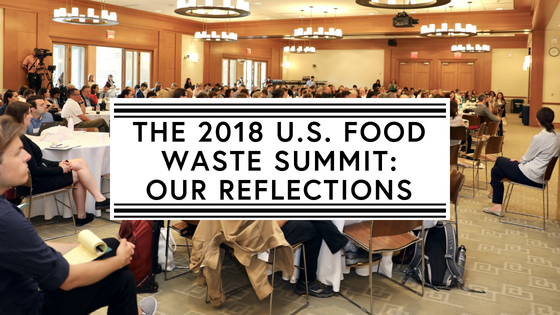 An overview of Spoiler Alert news and updates, including the company's reflections from attending the 2018 U.S. Food Waste Summit. And just like that, August is around the corner. Our Spoiler Alert team is growing, and with it comes an even greater set of experience, capacity, and passion towards inventory management and food waste reductions. Learn more about our new hires below, and stay tuned as we spotlight individual team members in future newsletter editions. In late June, Spoiler Alert had to opportunity to participate in the 2018 U.S. Food Waste Summit along with 350+ professionals spanning the food industry, academia, government, nonprofit, entrepreneurs, and more. The event, hosted by the Harvard Food Law and Policy Clinic and ReFED, was unique in that the agenda spanned topics across the Food Recovery Hierarchy, bringing diverse stakeholders together to discuss how everyone can work together to solve the same problem of food loss and waste. Below, we share our key takeaways from the one-of-a-kind event. 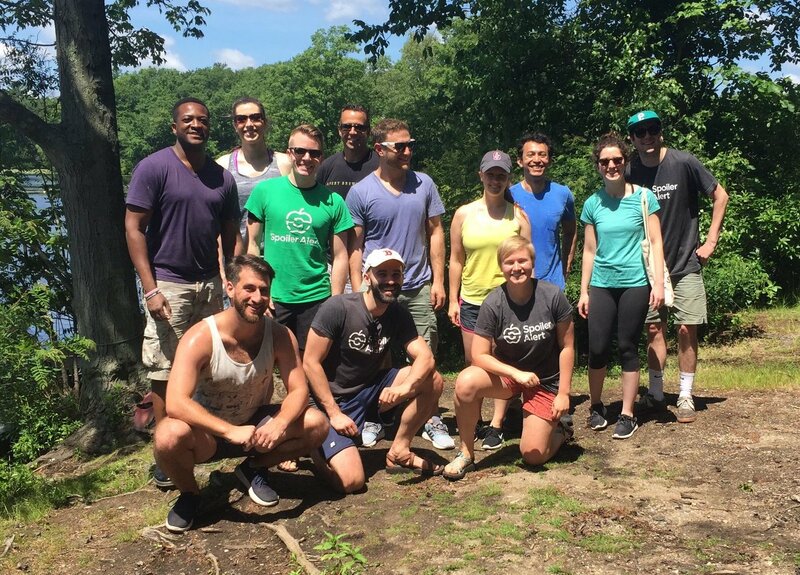 Don’t miss out — we have job openings for both Customer Success and Product & Engineering roles. If you want to join a fast growing team making a positive impact on the food industry, reach out today. All referrals welcome. The past two months saw four new full-time additions to the Spoiler Alert family: Anthony Hayes, Director of Business Development; Stanley Jules, Senior Sales Development Representative; Josh Lang, Closeout Sales Manager; and Kim McKee, Strategic Initiatives Manager. Join us in welcoming them to the team, and learn how to connect with them here. In addition, we want to thank our two Summer Associates for their hard work these past few months. We wish Megan Zink the best of luck as she starts at Stanford’s Graduate School of Business and Emily Saltz in her second year at Harvard Business School. On June 26-27, the Harvard Law School was taken over by hundreds of professionals with a vested interest in solving the United States’ food waste problem. Following the two days of presentations, conversations, and networking galore, we compiled our key reflections to share with all of you. 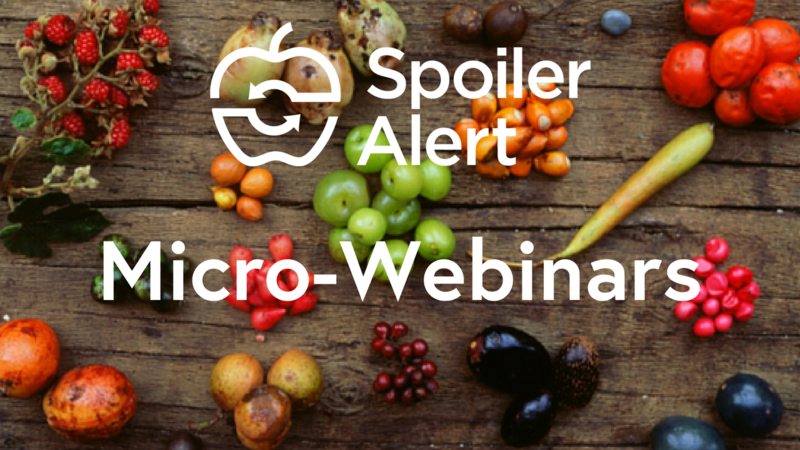 In the spring, Spoiler Alert produced two 30-minute, educational webinars for food distribution professionals. “How holistic management of unsold food inventory drives business value” and “Operational KPIs to improve shrink management and drive waste reduction” both dive into topics that are fundamental to how Spoiler Alert helps food businesses recover greater value from distressed and unsold food inventory. To receive access to view these webinars, email nate@spoileralert.com today!